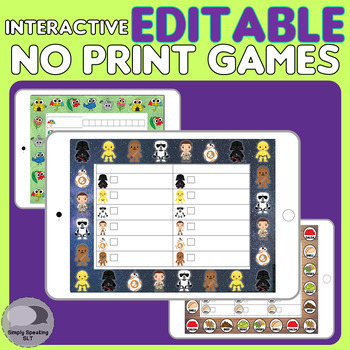 This download includes 18 editable game boards plus 3 themed pages with blank centres for your creative use. There are 3 themes (spring, star warz and 'build a taco') and for each theme there is 6 different layouts. Each layout is designed with your caseload in mind. There are layouts for articulation targets to encourage 100+ trials, there are also layouts for mixed groups of up to 4 students, plus many more variations! 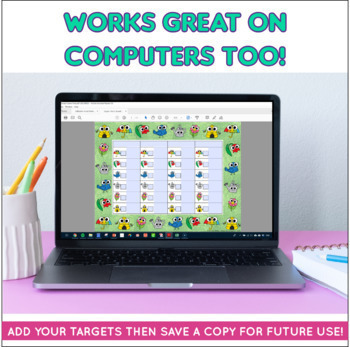 ► Watch this video for a more in-depth look and full tutorial on how to edit and play my editable games on computers or tablets. The game board featured in the tutorial video are from this download - but the instructions apply to this game too. A spring themed editable board game set - 6 different layouts. A star warz themed editable board game set - 6 different layouts. 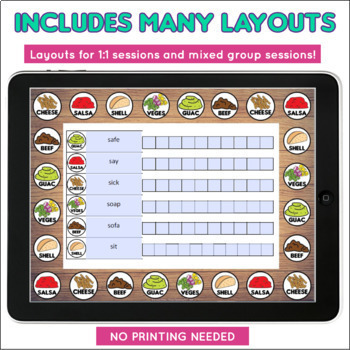 A taco themed editable board game set - 6 different layouts. Digital dice that opens in excel for use on a computer. 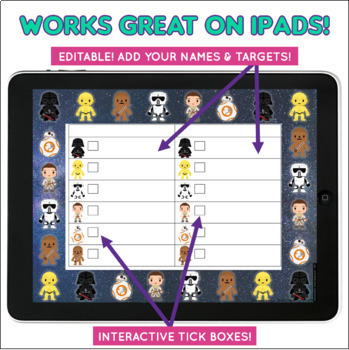 Number spinner to use as dice alternative on tablet. Link to full video tutorial. Link to app used in tutorial video.